Three Catholic elementary schools in Brooklyn and Queens will shutter their doors for good this June. Another two will merge and open as one academy in the fall. The Diocese of Brooklyn made the announcement via press release on Friday, Feb. 5. Slated to close in Brooklyn are Mary Queen of Heaven Catholic Academy, Mill Basin, and Our Lady of Guadalupe Catholic Academy, Dyker Heights, and in Queens, St. Camillus Catholic Academy, Rockaway Park. The board of members and board of directors for each school made the “difficult decision” to close the schools, according to a statement from the diocese. Declining enrollment and severe budget deficits were cited as the causes. Enrollment is down almost 60 percent from five years ago at Mary Queen of Heaven. The budget for the current school year shows a nearly $250,000 deficit and the academy’s fund balance is more than $300,000 in the red. The financial situation is similar at Our Lady of Guadalupe, where the deficit for the current school year totals more than $215,377, according to a statement from Michael Masaracchio, academy board chairman, which was posted on the academy’s Facebook page. Enrollment has dropped by 75 students in the last five years. The school has been serving the community for over 90 years. “To attempt to continue the Academy while further curtailing academic services and extra-curricular activities would be a serious disservice to your sons and daughters,” Masaracchio wrote in a letter sent to academy parents and guardians earlier this week. At St. Camillus in Rockaway Park, the current school year budget is running a deficit of more than $20,000. Facing deficits of more than $100,000 from the two previous years, the academy has limited funds to meet expenses. Enrollment is down by almost 25 percent from five years ago. “It’s an emotional time for the diocese when schools have to close because it is affecting the lives of students, parents, and faculty. The decisions come after intense analysis of enrollment trends and the financial picture of each academy,” said Dr. Thomas Chadzutko, Superintendent of Schools. He said he respected the boards’ decisions on the closures. “When resources are constrained, it affects all aspects of the learning environment, which eventually impacts students and their needs. Our children are our first priority,” he said. Also announced was the merger of two schools in Bushwick: St. Frances Cabrini Catholic Academy and St. Bridgid Catholic Academy. This September, the school will reopen as St. Brigid-St. Frances Cabrini Catholic Academy at the St. Brigid site. Declining enrollment at both sites brought about the merger, as did the need for expensive building repairs at St. Frances Cabrini. The Board of Directors spent over $200,000 in unexpected repairs last year. Back in December, the school had an early dismissal due to boiler issues and no heat in the building. The merged St. Brigid-St. Frances Cabrini Catholic Academy will be designated an Embassy School, and thus receive additional funding from the St. Elizabeth Ann Seton Trust. All parishes in the diocese contribute to the St. Elizabeth Ann Seton Trust, which then financially assists the diocese’s Catholic schools and academies to fulfill their evangelizing mission. The merged academy will also receive technology updates to the infrastructure through DeSales Media Group, the communications and technology arm of the Diocese of Brooklyn. Students affected by the closures will have seats available to them at nearby Catholic academies, and will receive a one-time $500 tuition grant from the St. Elizabeth Ann Seton Trust if they enroll at a Catholic school or academy in the diocese, so long as their previous tuition is paid. “It is the goal of the office [of the Superintendent-Catholic School Support Services] to assist all parents in placing their children in their neighboring school if they so choose as well as working with faculty and staff who have dedicated their lives to Catholic education,” Dr. Chadzutko said. Are they also closing the Church at St. Joseph Patron? When schools close it is devastating and the ones who are hurt are the students, their families and all the teachers. Also the neighborhoods are affected and those who have sought refuge in Catholic education. It isn’t acceptable that catholic schools are closing at such a rapid rate. The church and it’s parishioners need to do more and ask for assistance to keep these schools open. We need Pope Francis to help us with our schools especially in these times when faith and religion are so desperately needed! Too much of the diocese’s budget goes to social programs. I believe over 100,000 more goes to these than edication. Look at how much goes to priestly training. Sp much for so few! What a sham how much goes to pay suspended priests? How much goes to settlement payout? 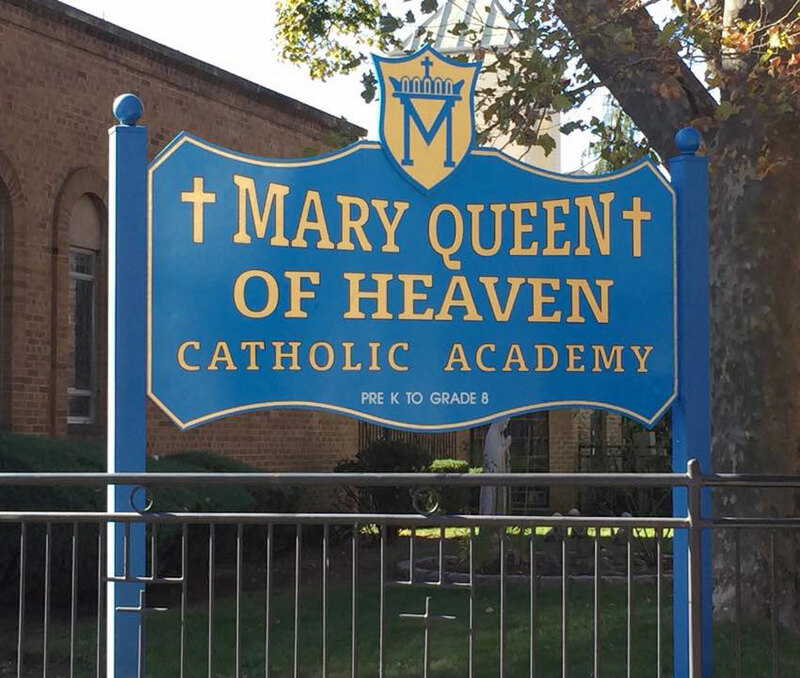 Very sad about Mary Queen of Heaven in brooklyn great school great teachers why not give then more time I know all parishioners would help to keep the school open .That school and Church are the best it is truly were God lives Im heartbroken. Why can’t people help!!! What is realy said is you are killing off more of the feeder schools to the best Catholic High schools in the city. I doubt you can recover from this mess . My best guess is you have four years and the system is done . The diocese will soon realize if there are no Catholic schools there will be no parishioners.. when the church’s bottom line is decimated, they will look back and regret not subsidizing Catholic youth. Schools attached to churches should be assisted financially. Something needs to be done regarding promoting the Catholic faith because it is being destroyed from within. The end of an era. My brother was in the first graduating class of Mary, Queen of Heaven. Five in our family attended MQH and have so many wonderful memories. Its so sad to hear it’s closing. It is unsurprising. The Diocese abandoned Catholic schools back in the 70s. They never thought about growth or bringing Catholic school education to more people. Instead of selling numerous properties and supporting schools, especially those tethered to churches, the abandoned us, and neighborhoods fell apart, and people fled the church. And yet, 40-plus years later, the Diocese hasn’t learned one thing. It’s quite disappointing. Prayers lifted up all affected by this tremendous loss. When you kill the schools you kill the Parish. of the Culture of Death , the Public School system. The Church is dying a slow death in the Northeast. out all Faiths in the Public Square. In addition millions upon millions have been spent to pay for the evil deeds of a small number of criminal clergy while Parish Schools have been given just enough rope. I really don’t think anyone really cares. Class of 1972 at MQH. Not all fond memories, but this is still sad news. We moved out of Brooklyn in the fall 72, but when I visit I generally attend mass at MQH. My older siblings went there as did so many other kids from the neighborhood. I appreciated being able to walk to school. USCCB needs to set up collection for interior urban Churches & Schools. While we gladly give to Churches and Parishes in the third-world, Europe and Middle East funding is needed to assist Parishes in our cities. Think of all the income they have given over the years to help our Catholic faith. The same should be given to our parishes like Our Lady of Guadalupe and Holy Angels. fund raising activities. Include annual mailings to all parishioners & all non parishioners. Keeping Catholic Schools open have not been a priority for the Diocese of Brooklyn or NY. Were is the Church leadership regarding Vouchers? Silence !! in major declines in Church attendance. Why are we afraid to challenge our Politicians on important Catholic Issues? A great school system going down, so sad. Graduate of Bishop McDonald,Brooklyn 1948. There were hundreds of us commuting from all over Queens and Brooklyn to a beautiful building on Eastern Parkway. We were happy and proud to part of it.